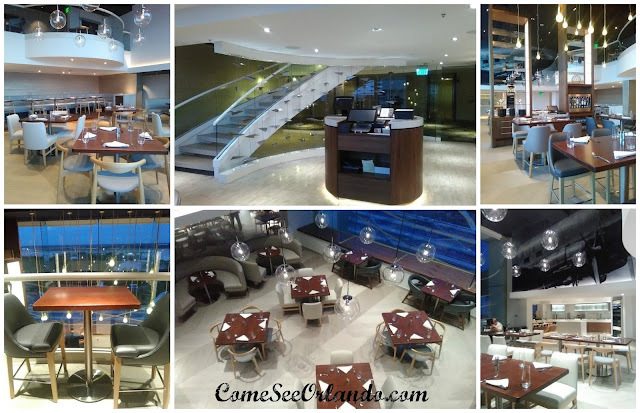 After an extensive, $3 million dollar renovation, the Hemisphere Restaurant is unveiling a new look as well as an updated, original menu. 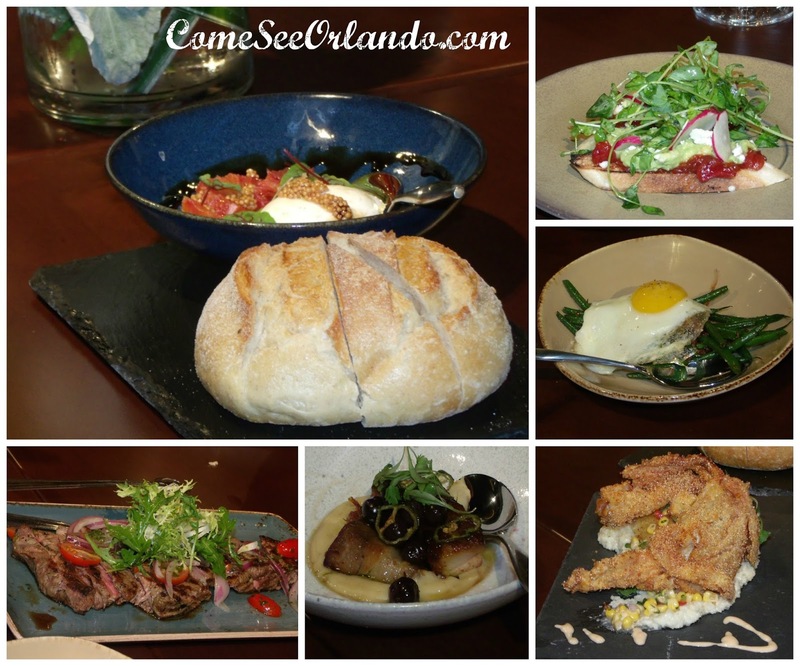 Located on the ninth floor of the Hyatt Regency Orlando International Airport, Hemisphere is "a place to share experiences", and exquisite culinary delights. The redesigned Hemisphere takes full advantage of its optimal location, incorporating cleverly unique air travel motifs, and capitalizing on its unparalleled views of the airport runway and open horizon, where sunrises and sunsets are certain to be second-to-none visual occasions! A floor-to-ceiling glass wall overlooks the bustling scene with a touch of overhead serenity that provides a remarkable panorama. Decorative touches are thoughtfully added in both vivid and subtle ways to enhance the theming of the location - from murals to binoculars that guests can use to maximize their view. 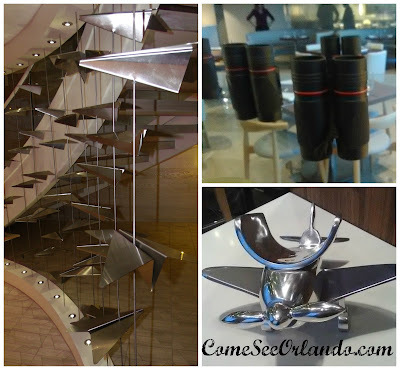 Perhaps the most notable ornamental element is the Paper Planes display that greets guests upon arrival at the Hemisphere entryway. 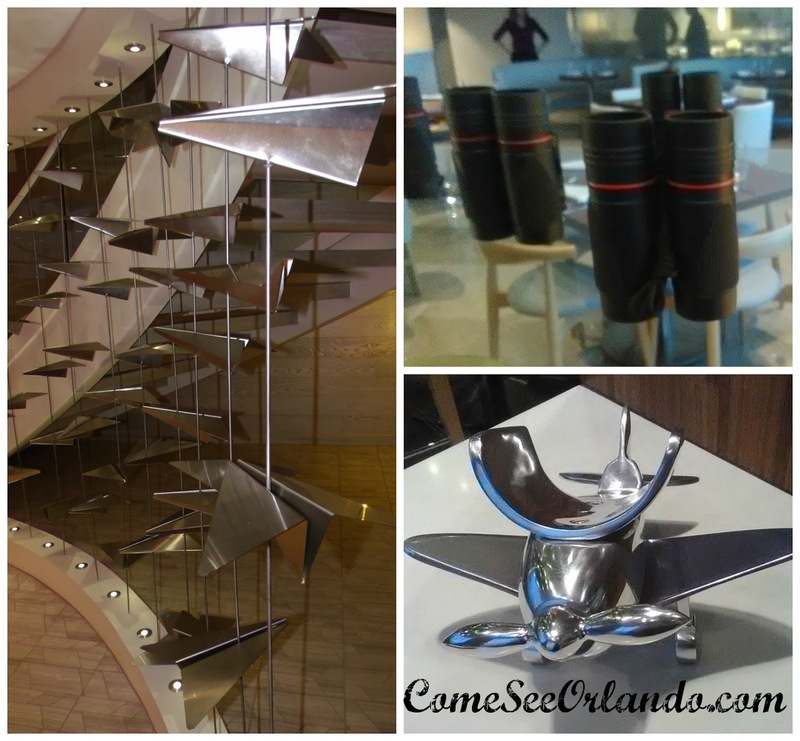 Travel enthusiast and local artist, Damon Dewitt, was hand-selected to design and craft the brilliant, floating "paper" airplanes that adorn the stainless steel wiring along the curve of the spiral staircase that leads to the Upper Deck. Theming even extends to the pervasive Hemisphere beverage menu, with selections carefully considered in complement to the feel of the location. Regional choices showcase options representative of global hemispheres. 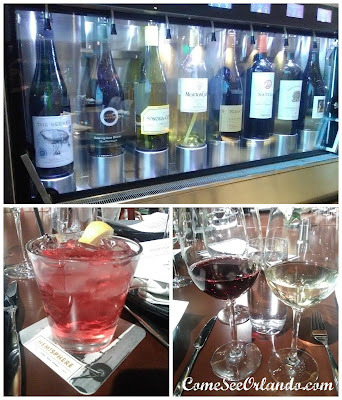 Custom wine cuvees are stocked with 16 wine varieties designating "flights" of selections from "Up North" and "Down South" on daily rotation. Wines are available in 2oz, 5oz, and 8oz pours, as well as half or whole bottles. Additionally, signature and traditional cocktails come in individual servings, or shareable carafes. The 3,000 square-foot restaurant features an open, bright layout with a second-level "Upper Deck" loft. Flexible seating options are designed to accommodate visitors of every composition - from singles to groups. 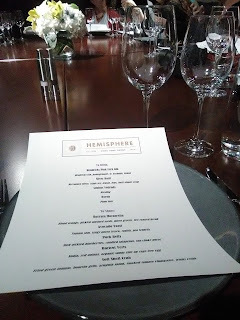 Seating is available for 164 guests at Hemisphere, with a separate private dining room option for up to 24 diners. Focusing on Hyatt's global philosophy - Food. Thoughtfully Sourced. Carefully Served. - Hemisphere promotes a neo-contemporary world cuisine comprised of health-conscious options that are largely locally sourced. 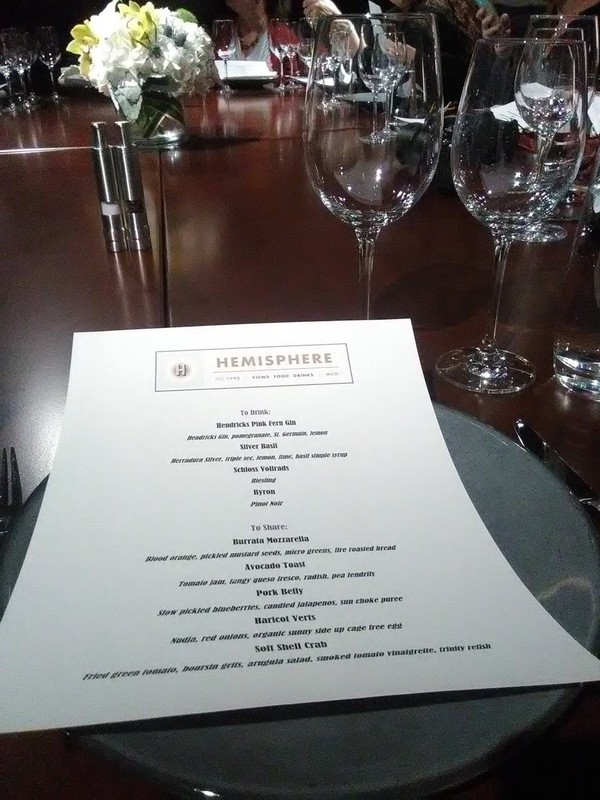 Lake Meadow Naturals, Palmetto Creek Farms, Fat Cat Gourmet Foods, and Cigar City Brewing are among the regional providers contributing to the Hemisphere menu. Executive Chef Jeffery Powell leads Hemisphere's culinary team. Powell has been with Hyatt since 2001, having joined the Orlando International Airport location earlier this year. His career has taken him to various points across the nation, expanding his culinary palate and professional imagination. “My culinary philosophy is to work with local farmers to acquire the freshest ingredients available. 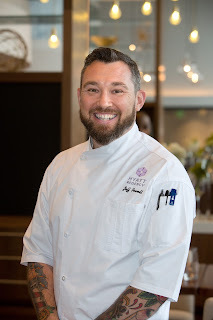 Using complementary ingredients and showcasing each component through simple preparation and proper technique creates integrity and depth of flavor,” said Powell. The culinary staff sincerely conceived pure magic in the menu! 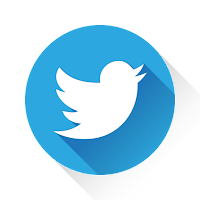 Items that seem almost standard are expanded to next-level extraordinary, and items that easily qualify as unimaginable are brilliantly realized. Bold combinations that are anything but common combine to create flavorful explosions that simply obliterate the rules of ordinary menu design... and somehow, it works in ways you'd never believe if you didn't taste it for yourself. 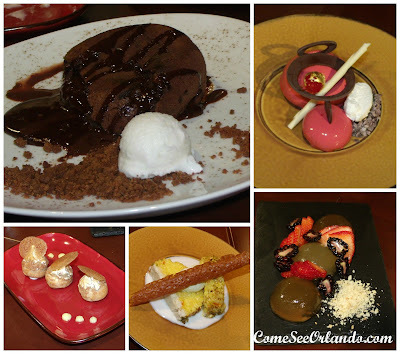 Our preview dining experience was flawless in every sense. Shareable dishes were served in swift fashion by fabulously gracious and knowledgeable servers. 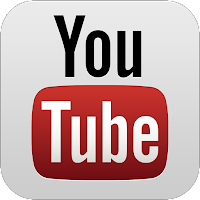 Ranking the appeal of the diverse offerings was nearly impossible. I must confess - even the items containing ingredients I usually have a distaste for, or the combinations of flavors that seemed contradictory, dazzled me beyond comprehension. The Texan in me really wants to spotlight the Churrasco Strip Steak, but while that was phenomenal, my top recommendations are actually very surprising selections outside of my norm. The Avocado Toast was everything I should have avoided. I have a strong aversion to avocado, tomato, and radish - three components in this creation. The toast is layered with tomato jam, avocado and queso fresco, topped with radish slices and pea tendrils. After debating even trying this... I actually went back for seconds! 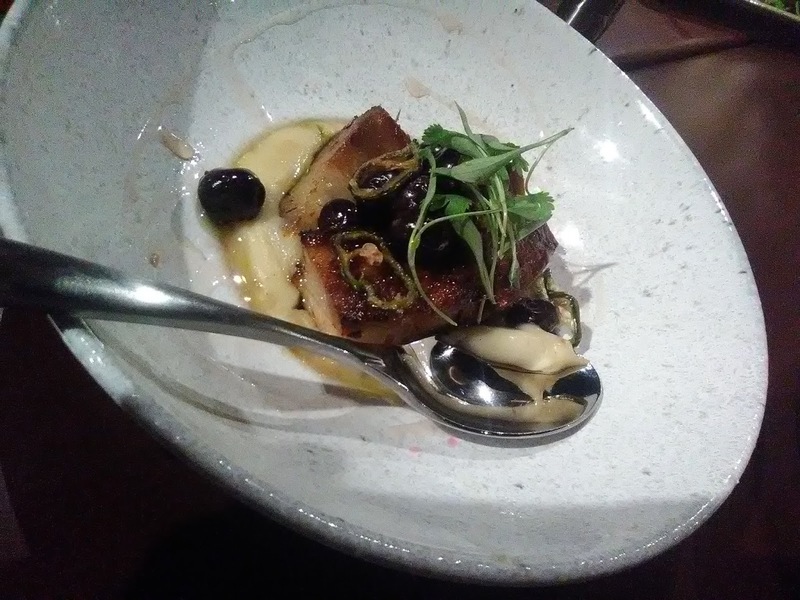 While it's easy to say that everyone loves pork belly, the concept of fusing it with pickled blueberries, candied jalapenos, and sun choke puree certainly sounds questionable. However, this is my second top pick from the menu we were presented with. I don't know how this works, but it does... magically so! And when it comes to desserts... just try anything and everything. I have no words for this magnificence, but the pictures speak volumes! Hemisphere will be open for breakfast and dinner service, as well as special events. The breakfast Market-Style Buffet hours are 5:30 a.m. to 11:00 a.m. (noon on weekends), and dinner service will be available from 5:30 to 10 p.m. (closed on Sundays). Complimentary valet parking is offered for all Hemisphere guests. Monthly wine dinners and seasonal brunches will be announced soon. 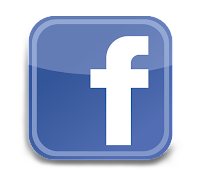 For more information on Hemisphere Restaurant, visit their official Facebook page.